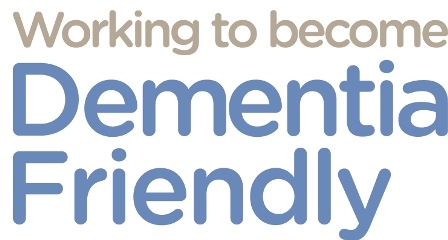 For the last year I have been leading a group of amazing people in Tonbridge who are all committed to making our community one which is dementia friendly. I am passionate about the subject having had a great deal of contact with people who are living with dementia. I had two Aunts and an Uncle who all had dementia and so I witnessed at first hand the difficulties that confronted both them and my cousins as they cared for them. I began my working life as a nurse, working in both of our local hospitals, Pembury and Kent and Sussex, at various times and frequently came across patients with dementia. Working now as a funeral director for more than 30 years I have often witnessed how difficult it is for families when somebody with dementia is bereaved and has to frequently be reminded of the fact, a most distressing situation for families which often prolongs their grief. I don’t believe, though, that I am particularly unusual. With more than 850,000 people living with a diagnosed dementia in the UK, most people will come across somebody with dementia in their daily life and may possibly be related to some. Statistically one in three of us will have our lives touched by dementia in some way. With statistics like that it’s no wonder that the Alzheimer’s Society are keen to see every community become dementia friendly. The truth is none of us know, any one of us could be living with dementia in our later years. Similarly, none of us know when our lives will end and working, as I do, in the funeral sector I witness daily the random hand of illness and death. Every day people become unable to make their own decisions due to illnesses like strokes, brain injury or dementia, all of which can have a devastating effect on their families. We don’t think twice about making the simple decisions in life, what we shall cook for dinner, where to go for a day out or even what clothes to put on in the morning. But what if illness robbed us of the ability to decide things for ourselves, who would do it for us. Making a Power of Attorney is a simple and relatively inexpensive matter and something we are able to help you with. Leaving it too late could be a time consuming and costly mistake. Once a person is diagnosed with dementia or anything else which renders them unable to make decisions they cannot make a Power of Attorney. Families then have to go through a lengthy process in the Court of Protection at a cost of somewhere in the region of £3000. Advance Planning for our later years doesn’t make the inevitable happen sooner. Younger and younger people are ensuring that they have made their wishes known and their health decisions and finances are safe with a friend or family member that they trust. As we begin this dementia awareness week make the best decision you can, while you can. Our end of life planning consultant will be happy yo advise you on any aspect of your planning needs whether that be a Power of Attorney, a Will or a Funeral Plan.